1. Leave them alone at home until your return to roam around the house and possibly hurt themselves. 2. Hire or leave your pet with an untrained individual to look after them until you return home. 3. Hire a professional pet sitting service to take care of your pet. Pets have to be fed regularly in order to be in good health. If you’re away for too long, hunger can cause it to be sick or even die. A pet sitting service will not only know when to feed your pet, but also just as important what to feed them. 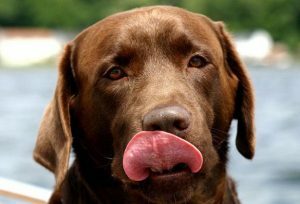 They will make sure your pet gets a balanced diet so they can remain healthy. 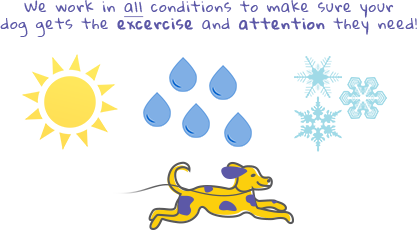 Many pets need to be exercised regularly, otherwise they become fat, lazy or even aggressive. With you being unavailable, the pet sitting service will take your pet out for a walk or the necessary exercise routine. It’s not uncommon for pets to be stolen, with some breeds going for thousands of dollars! Pet sitting services will minimize that risk immensely by making sure your pet is in a safe and supervised environment. Your pet will be in a highly supervised environment which will minimize your animal’s risk of ingesting a toxic substance. Most professional pet sitters are also able to administer medication as needed by your pet. So if you are leaving home or just need someone to watch your pet for a few hours hire a professional pet sitting service, like Hustlin Hounds. Leave your pet in trained, supervised and loving hands so your mind can be at ease.